Here's another installment of the Pets of Page-A-Day! 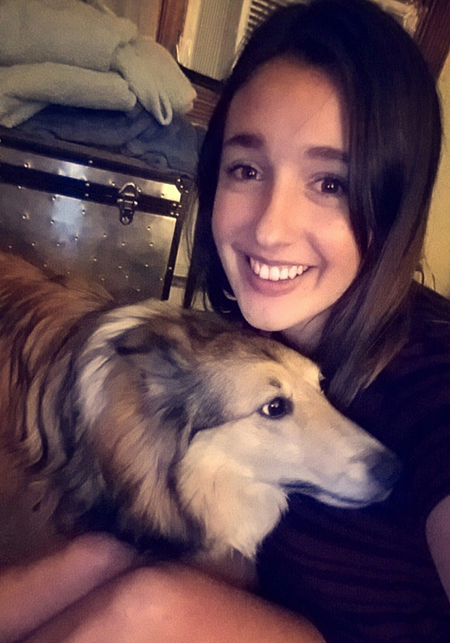 Meet Balto, a Shetland Sheepdog-Collie mix, and his human, Grace. Grace is the Digital and Web Operations assistant for Page-A-Day and Workman, and helps to create ads, build newsletters, and assist with the website. 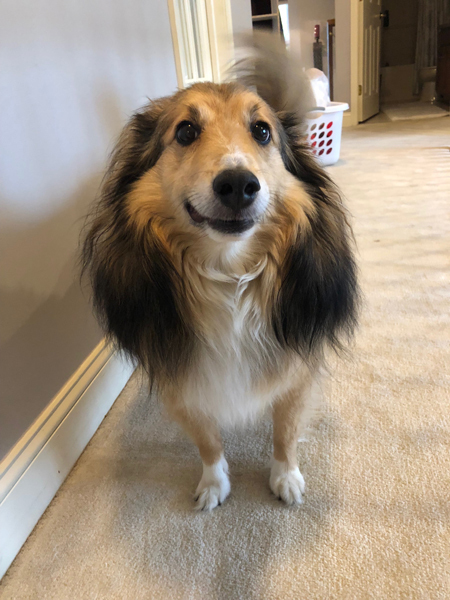 Enjoy our interview with Balto, and don't forget to submit your pet's photo in the Page-A-Day photo contest for a chance to have your pet featured in our calendar! 1. Please tell us the origin of your name. My mom named me Balto after the famous sled dog in Alaska who helped transport medicine (what a showoff, am I right? )—not to mention the totally awesome animated film. My mom and her brothers decided on Jones for my middle name because when I was a little pup, I was a bit of a wimp. They thought a name like "Balto Jones" sounded really tough, and would make me feel tougher, too. Sadly, it didn't work. I am still a wimp, and my list of fears include: hair brushes, walks, prolonged eye contact, people taking pictures of me on a cell phone, and my leash. 2. We understand that you have two siblings. Can you discuss the dynamics of those relationships? Are you closer with one brother over the other? I have two wacky brothers named Kota and Apollo (picture below). 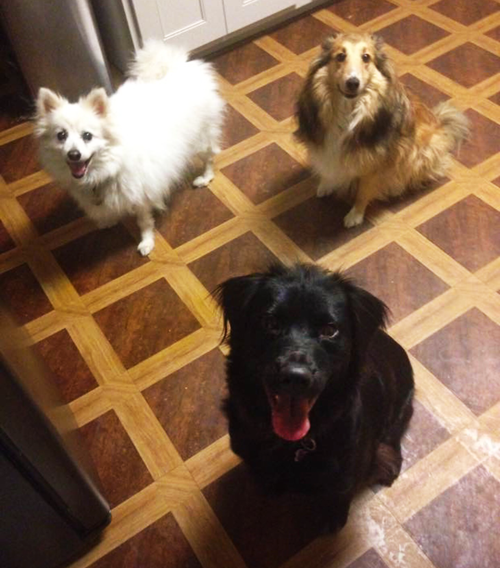 Kota is an American Eskimo and Apollo is a Flat-Coated Retriever. I love them both, but Apollo is my very best friend. We wrestle all the time, run around outside, and always trick Mom into giving us more treats. I wish he'd stop stealing my bones! But otherwise, he's my little brother and I love him. 3. What is your most favorite thing to do with your human mom, Grace? Even though I'm six years old, I only just learned how to fetch this year! So I love doing that with my mom now that I know I'm good at it. I also love when my mom is hanging out watching T.V. or reading, because she loves to rub my ears while she does it. Getting my ears rubbed is my favorite! 4. If you could be any other animal, what would it be? Like I said, I'm a bit of a wimp, so if I could be another animal, I'd want to be something big and strong like a horse or an elephant. I bet Apollo wouldn't steal my dog treats then, right? 5. Are there any cats in your life? 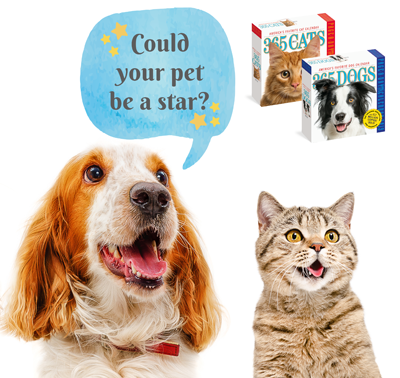 What's your take on the debate cat vs. dogs? Are you really human's best friend? I can't say I've met any cats, but I think I'd get along with them if I ever did. They seem pretty calm and disinterested, so I wouldn't have to worry about them trying to wrestle me or take my bones when I wasn't looking. Still, I think dogs are human's best friend. Cats might meow when you get home from work, but I know my human Grace appreciates it when she comes in the door and Apollo, Kota, and I come running and jump on her!